Seriously. This is what they call these things … and you know you’ve seen one. 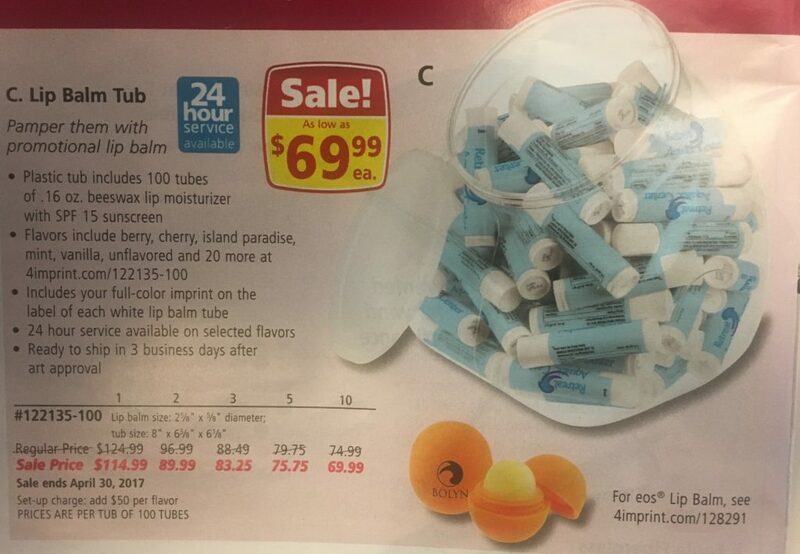 A tub of lip balm…branded with the company’s logo on it.